Hey we’re always excited to hear from our happy clients and customers! If you’ve had a positive experience with our law firm then review us on our Google Plus page! 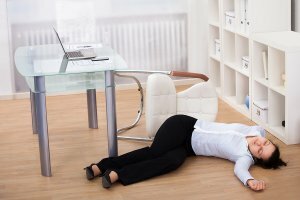 Employees are afforded certain legal protections, such as the right to receive compensation if they become injured while on the job. However, for your claim to be successful, you must follow your state’s workers’ compensation guidelines. Since the guidelines vary from state to state, you should contact a workers’ compensation attorney as soon as possible. A workers’ compensation attorney near Baltimore can help you receive maximum compensation so that you can focus on your recovery. After suffering a workplace injury, the most important step to take is to see a doctor as soon as possible. For certain types of workplace injuries, you may need an ambulance to take you to the nearest emergency room. For example, if you’ve been working with machinery and suffer a deep laceration or amputation, it’s necessary to call 911 promptly. Otherwise, you can inform your employer that you need to leave work early to receive medical attention for an injury sustained at the workplace. Even if your injury seems minor at first, it’s best to go to a doctor sooner, rather than later. This establishes a record of your injury, which your workers’ compensation attorney can use to back up your claim. You may be legally required to provide written notification to your employer within a certain period of time following the injury. If you do not follow your state’s guidelines, your workers’ compensation claim may be denied. Talk to an attorney at law in Glen Burnie about workers’ compensation guidelines in Maryland. Generally, written notification must include information pertaining to when the injury occurred, what type of injury it was, and how it developed. After notifying your employer of the accident , your workers’ comp attorney can help you file a request for workers’ compensation. Deadlines generally apply to these types of claims. Your attorney can assist you by ensuring that the paperwork is in order and that you’ve attached any necessary documentation, such as your medical records. Your attorney can also provide representation at a workers’ compensation hearing, if you are required to attend one. If you need expert legal guidance, look no further than Jack Schmerling, Attorney at Law . With more than 35 years of experience representing the rights of his clients, Mr. Schmerling understands the legal strategies that will secure a favorable outcome for your case. This personal injury attorney began his distinguished career after obtaining his Juris Doctor from California Western School of Law. In addition to providing exceptional legal representation for his clients, Mr. Schmerling has remained dedicated to ongoing professional development. He has frequently been asked to give lectures for the Maryland Workers’ Compensation Education Association, the Maryland Association for Justice, and other notable organizations. As an accomplished personal injury attorney, he has also been asked on numerous occasions to testify as an expert regarding workers’ compensation cases. Along with specializing in handling workers’ compensation cases, Mr. Schmerling takes great pride in helping those who are involved in DWI and traffic cases, in addition to personal injury claims and Social Security disability claims. As the founding member and sole attorney at his personal injury law firm located in Baltimore, Mr. Schmerling takes the time to provide personalized attention and service to each of his clients.